Mischa Maisky has been named an Honorary Fellow of the Royal Academy of Music (Hon FRAM), the academy announced on 27 March 2019. The award is granted to a select number of distinguished individuals who have rendered signal service to the institution or to the music profession in general; in addition to Maisky, this year’s Fellows include Dame Sarah Connolly (mezzo-soprano), Christian Gerhaher (baritone) and Kim Kashkashian (viola). Valentina Peleggi was also honoured by the Academy today as she was announced as an Associate of the Royal Academy of Music. Verbier Festival has announced its programme for 2018, with a typically star-studded line-up featuring a host of Intermusica artists. Highlights include a gala concert celebrating 25 years of Verbier, a solo recital from Daniil Trifonov and a Mischa Maisky ‘Carte Blanche’ concert. All concerts are streamed live on Medici.tv. George Li joins Valery Gergiev and the Verbier Festival Orchestra for the opening concert of the festival on 19 July at 19:00 at the Salle des Combins. Sergei Babayan, Kristóf Baráti and Mischa Maisky unite on 20 July at 11:00 at the Église with a programme of J.S. Bach, Rameau and Shostakovich. Leonidas Kavakos performs his first concert of the festival with Diemut Poppen and Patrick Demenga at 20:00 on 21 July at the Église. Kristóf Baráti and Sergei Babayan join friends for a recital on 22 July at 20:00 at the Église. 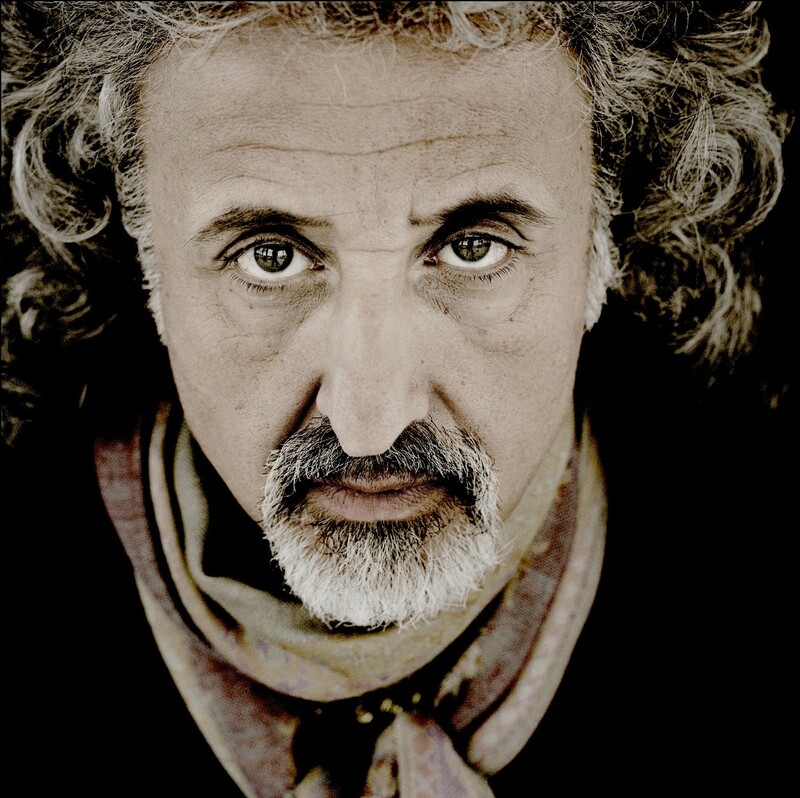 At 20:00 on 23 July, Mischa Maisky performs a ‘Carte Blanche’ concert with various musical friends and family, including son Sascha Maisky and daughter Lily Maisky at the Église. Kavakos joins the Verbier Festival Orchestra, Christopher Eschenbach and Ying Fang for a programme of Mahler and Berg on 23 July at 19:00 at the Salle des Combins. Baráti performs with Lucas Debargue at 11:00 on 24 July at the Église, with music by Debussy, Franck and Brahms. On 25 July, a gala concert celebrates Verbier Festival’s silver jubilee at the Salle des Combins at 18:00. Performers include Babayan, Kavakos, Renaud Capuçon, Maisky and Daniil Trifonov, among many other stars of the classical world. Baráti performs another recital at the Église on 27 July at 17:00, with Daniel Lozakovich, Eduard Wulfson and Zarina Shimanskaya. Capuçon and Kavakos join forces with Yuja Wang and others on 27 July at the Église at 20:00 for a programme of Mozart and Tchaikovsky. Kian Soltani and Trifonov perform at the Église at 11:00 on 29 July for music by Robert and Clara Schumann, and a piece by Trifonov himself. Richard Goode returns to the festival at 15:00 on 29 July to perform Mozart with the Verbier Festival Junior Orchestra and conductor Alain Altinoglu. Capuçon joins various fellow musicians for an all-Brahms programme on 29 July at 20:00 at the Église. Soltani joins a quartet on 30 July at 17:00 at the Église for a concert of Lucas Debargue (also one of the performers) and Brahms. Babayan performs a solo recital on 31 July at 11:00 at the Église. Kavakos joins another A-list line up for a programme of Prokofiev, Schoenberg, Fauré and Chausson on 31 July at 20:00 at the Église. Trifonov performs a solo recital at 19:00 at the Salle des Combins the same day, 31 July, with a programme exploring Chopin. Soltani joins Aaron Pilsan on 1 August at 11:00 at the Église for a duo recital. Maisky performs with Iván Fischer and the Verbier Festival Orchestra on 2 August at 19:00 at the Salle des Combins, performing Dvořák’s Cello Concerto. Visit the Verbier Festival website for the full list of concerts for 2018. Mischa Maisky returned to the UK on 6 February 2018 for an outstanding evening of music-making at the Barbican Centre alongside Martha Argerich and Janine Jansen. The concert was part of a two-week tour that also includes performances at the Hamburg Elbphilharmonie, Paris Philharmonie, Amsterdam Concertgebouw and Vienna Konzerthaus, with a programme of Shostakovich and Tchaikovsky piano trios and a Beethoven cello sonata. "On this stage we heard three musicians making real chamber music in the purest possible way. Someone in the audience put it like this: 'They have nothing left to prove.' And so it was, the natural intensity that ensued overwhelmed the hall." Mischa Maisky returns to London on 6 February 2018 to the perform at the Barbican Centre with Martha Argerich and Janine Jansen. The concert is part of a two-week tour that also includes performances at the Hamburg Elbphilharmonie, Paris Philharmonie, Amsterdam Concertgebouw and Vienna Konzerthaus, with a programme of Shostakovich and Tchaikovsky piano trios and a Beethoven cello sonata. While in London, Maisky also gives a masterclass to star students of the Royal Academy of Music at 6pm on 5 February. Verbier Festival has announced its programme for 2018, with a typically star-studded line-up featuring a host of Intermusica artists. Highlights include a gala concert celebrating 25 years of Verbier, a solo recital from Daniil Trifonov and a Mischa Maisky ‘Carte Blanche’ concert. Sergei Babayan performs with Yuri Bashmet on 20 July at 11:00 at the Église with a programme of J.S. Bach Schnittke and Shostakovich. On 21 July, Leonidas Kavakos performs his first concert of the festival with Diemut Poppen and Gautier Capuçon at 20:00 at the Église. On 23 July, Mischa Maisky performs a ‘Carte Blanche’ concert with various musical friends, including son Sascha Maisky and daughter Lily Maisky at 20:00 at the Église. Baráti performs with Lucas Debargue at 11:00 at the Église, with music by Debussy, Franck and Brahms. Soltani joins a quartet on 20 July at 17:00 at the Église for a concert of Lucas Debargue (also one of the performers) and Brahms. Renaud Capuçon performs sonatas for violin and piano by Schubert, Beethoven and Strauss at 11am on 22 July 2017 at the Église de Verbier with Denis Kozhukhin. Also performing at the Église on 22 July is the Pavel Haas Quartet. At 8pm they are joined by pianist Barry Douglas for a performance of Brahms Piano Quintet in F minor and Beethoven String Quartet No. Sergei Babayn returns to the festival to perform Mozart Piano Concerto No.25 with Joshua Weilerstein and the Verbier Festival Orchestra at the Salle des Combins at 7pm on 24 July. Richard Goode, Renaud Capuçon and Edgar Moreau appear at the Église at 8pm on 24 July to perform Brahms Piano Trio No.2. In the second half of the recital, Capuçon and Moreau are joined by Lahav Shani, Maxim Rysanov and Leigh Mesh for a performance of Schubert Piano Quintet in A major 'The Trout'. The Pavel Haas Quartet makes its second appearance at the festival on 25 July, performing in recital at the Église at 11am. The quartet presents a programme of quartets by Martinů and Smetana as well as Dvořák String Quintet No.3, for which they are joined by the quartet's friend and former colleague Pavel Nikl. Lahav Shani then conducts the Verbier Festival Chamber Orchestra at the Salle des Combins at 7pm on 25 July, leading a programme of Mozart Il nozze di Figaro Overture, Bruch Violin Concerto No.1 with soloist Daniel Lozakovich and Schubert Symphony No.9. Francesco Piemontesi returns to the festival on 26 July for a solo recital at the Église at 11am, performing a programme of Mozart, Liszt, Debussy and Schubert. The Choir of King's College, Cambridge, makes its festival debut this year, performing at the Église at 8pm on 26 July. They give a concert of works by Duruflé, Tomkins, Byrd and Poulence among others. George Li gives a trio performance at 11am on 27 July with Daniel Lozakovich and Pablo Ferrandez at the Église. Joshua Weilerstein conducts the Junior Orchestra at 4pm at the Salle des Combins on 27 July. Weilerstein conducts a programme of Fauré Elegie for Cello and Orchestra with Edgar Moreau followed by Bruch Kol Nidrei and Dvořák Symphony No.6. Kirill Gerstein gives a solo recital at 11am at the Église on 28 July, performing works by Bach, Brahms and Liszt. Richard Goode makes his second appearance at the festival, performing a programme of Mozart, Janáček, Debussy and Beethoven at the Église at 11am on 29 July. Joshua Weilerstein is joined by George Li at the Salle des Combins at 4pm on 29 July for a concert with the Verbier Festival Junior Orchestra. Li performs Liszt Piano Concerto No.1, with Weilerstein then conducting Dvořák Symphony No.6. Kirill Gerstein and Sergei Babayan join Yuja Wang and the Verber Festival Chamber Orchestra at the Salle des Combins at 7pm on 29 July for a performance of Bach concertos under the direction of Roberto Gonzáles-Monjas. At 11am on 30 July, Kirill Gerstein is joined by Truls Mørk to perform sonatas by Brahms, Janáček and Prokofiev at the Église. In the evening of 30 July, Antoine Tamestit and Mischa Maisky appear at the Salle des Combins alongside Dmitry Sitkovetsky, Roman Simović and Evgeny Kissin. They perform a programme of Mozart String Quartet No.1, Fauré String Quartet No.1 and Dvořák Piano Quintet No.2. On 31 July, George Li performs a solo recital of Beethoven and Liszt at 11am at the Église. Joshua Weilerstein joins Martin Frost and the Verbier Festival Orchestra at the Salle des Combins on 31 July at 7pm. Weilerstein conducts a programme of Copland, Lutoslawski, Shaw and Prokofiev. On 1 August at 11am, Tamestit joins Roberto González-Monjas, Alexander Sitkovetsky, Pablo Ferrández, Lukas Geniušas & Yuja Wang to perform works by Schubert, Beethoven & Brahms. James Ehnes performs at the festival on 3 August, performing at the Église at 11am. He is joined by pianist Julien Quentin for a recital of works by Bartók, Elgar, Prokofiev and Saint-Saëns. Tamestit and Maisky reunite at the Église at 8pm on 3 August, this time performing Brahms Piano Quartet No.3 with Nikolai Lugansky. Tamestit also performs Brahms Sonata for Viola and Piano with Lugansky, while Maisky and Lugansky play the composer's Sonata for Violin and Piano No.1 in an arrangement for cello and piano by Paul Klengel. On 5 August at the Salle des Combins at 7pm, James Ehnes, Antoine Tamestit, Mischa Maisky, Pamela Frank, Roman Simović, Pablo Ferrández, Martin Fröst, Nikolai Lugansky, Yuja Wang, the Verbier Festival Chamber Orchestra and Antonio Pappano will join forces for an evening celebrating friendship and musical excellence. James Ehnes and Leonidas Kavakos sit on the violin jury and Mischa Maisky on the cello jury at the XV International Tchaikovsky Competition, which opens on 15 June 2015 in Moscow after a round of preliminary auditions beginning on 10 June. Ehnes, Kavakos and Maisky will judge the three rounds of the competition before the winner is announced on 1 July in an awards ceremony at Tchaikovsky Concert Hall, Moscow. This prestigious competition, chaired by Valery Gergiev, is held every four years and this year falls on the 175th anniversary of the composer’s birth. Previous winners include Daniil Trifonov (piano) and Narek Hakhnazaryan (cello). This year, more than 600 applications were received from 44 counties. That list that has been narrowed down to 60 pianists, 50 violinists, 50 cellists and 80 vocalists who proceed to the preliminary auditions on 10 June. The competition will also be streamed online by Medici.tv. 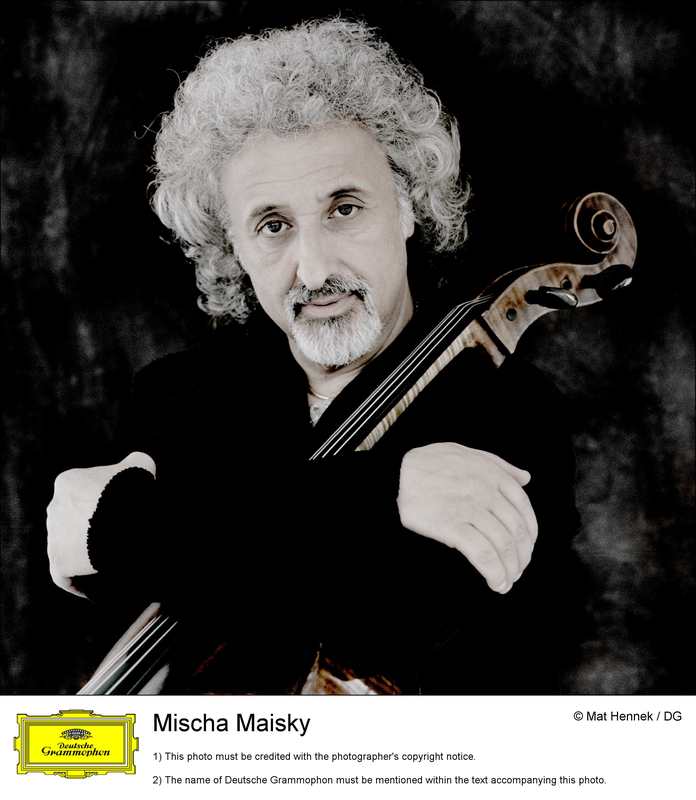 Mischa Maisky makes his return to Australia at the end of March – his first visit for many years – performing with the West Australian Symphony Orchestra, Musica Viva and Queensland Symphony. He will form the centre point of Musica Viva’s 70th anniversary celebrations, playing Bach suites across several celebrity recitals and giving masterclasses. His concerts begin with a recital in Sydney on 9 April, followed by a masterclass on 10 April and two further recitals on 10 and 11 April. Prior to this he joins Music Director Ascher Fisch in Perth for Don Quixote and Schelomo with the West Australian Symphony Orchestra on 27 and 28 March, followed by Dvořák in Brisbane with the Queensland Symphony on 2 April with Yan Pascal Tortelier. "Here is passionate communal music-making, most exhilarating in Tchaikovsky¿s final section, when the older musicians become gloriously infused with Lang Lang's youth and sparkle. At other points, the kaleidoscope of personalities keeps turning. In the Rachmaninov Maisky's soulful, yearning cello carries most of the music's emotional weight, with Repin in sweet support. Lang Lang himself stays bright, agile, but modest..."
"A celebrity trio that is much more than the sum of its parts... what impresses most of all about these performances is their single-mindedness. Nowhere is there even a suggestion of conflicting temperaments with their own agenda. What shines through here is the give and take, the kinship, of outstanding chamber music playing..."
Mischa Maisky plays the Dvořák Cello Concerto at the Royal Festival Hall, Southbank Centre, with Charles Dutoit and the Royal Philharmonic Orchestra on January 17 – the first time for many years he has performed this work in London. 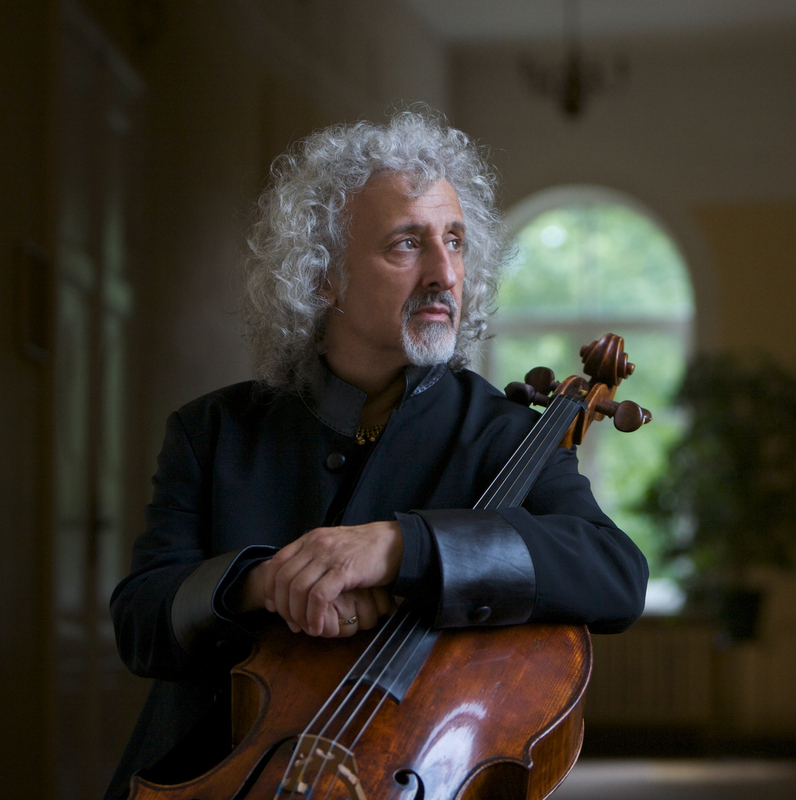 Maisky returns to the RFH in May to play Tchaikovsky, Rachmaninov and Mendelssohn trios with Lang Lang and Vadim Repin. This concert is part of the International Chamber Music Season, which Intermusica co-promotes.